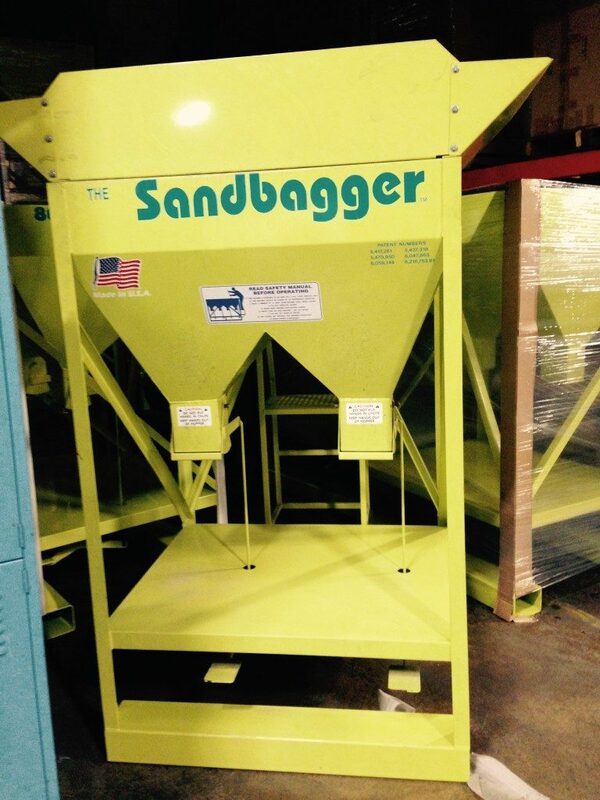 The Gravity Fed 2 Chute is an automated sandbag filling system used to fill two (2) sandbags simultaneously. 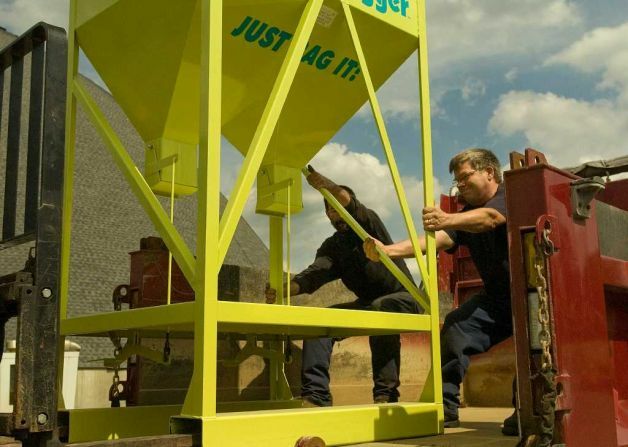 It requires two (2) people to fill sandbags and one (1) person to operate the front end loader to keep the hopper full. 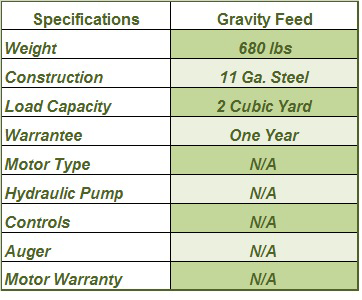 The gravity-fed model will fill 400-500 bags per hour, depending on the material and manpower. 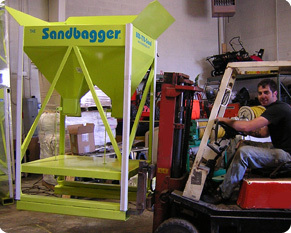 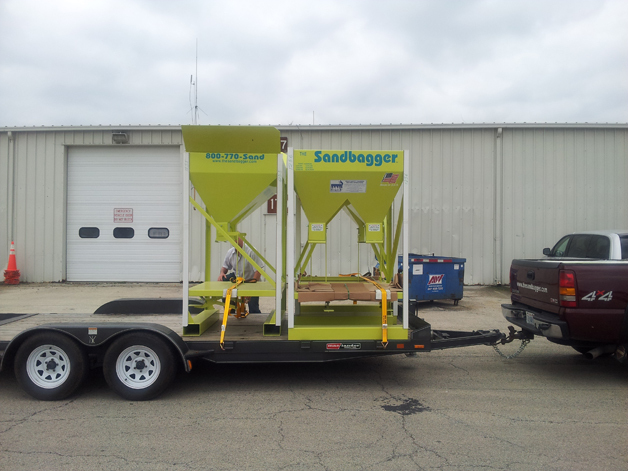 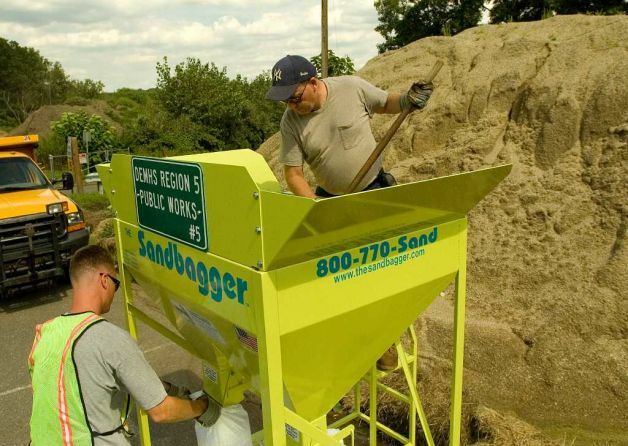 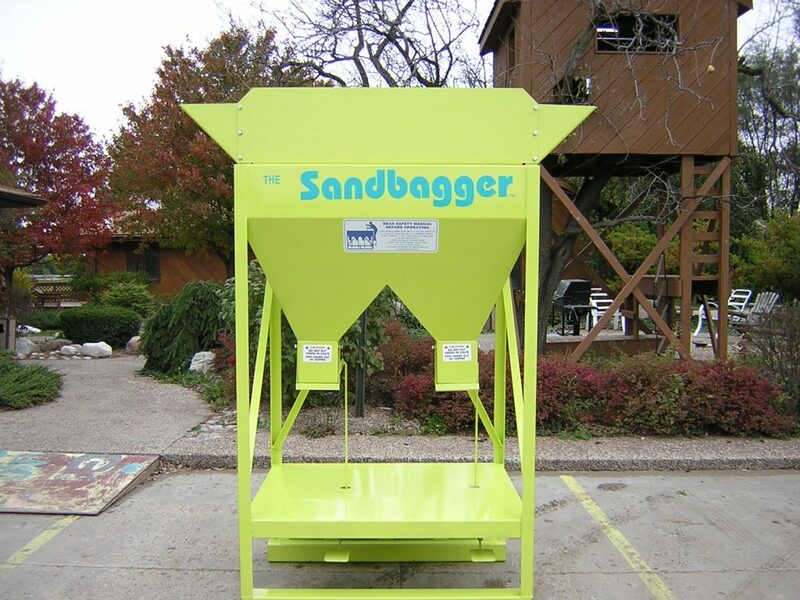 The operator simply presses a foot pedal to activate the flow of sand into the bag, then releases the foot pedal to stop the flow. 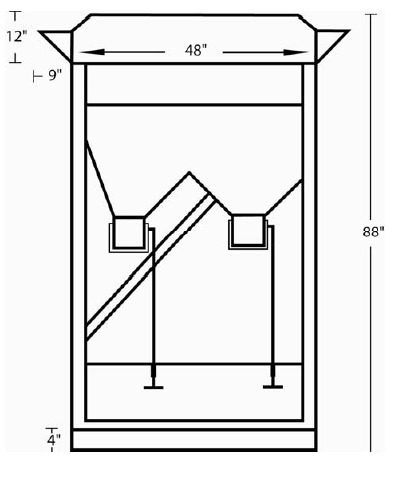 A ladder is provided to manually probe the material in the hopper when necessary.